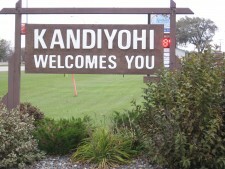 Kandiyohi is located six miles east of Willmar on Highway 12. In 1870, Kandiyohi was made the temporary county seat when two counties merged (Kandiyohi and Monongalia) before Willmar was chosen because of its central location. Affordable housing and the close proximity to Willmar make Kandiyohi a great place to live and raise a family while enjoying the small town atmosphere. All small towns have their celebrations and Kandiyohi is no exception. The first Saturday in June is reserved for an all-city rummage sale. The following weekend is the city-wide celebration “Kandi is Dandy Days.” This celebration features a variety show, parade, games in the park, antique tractor pull and a business appreciation supper.